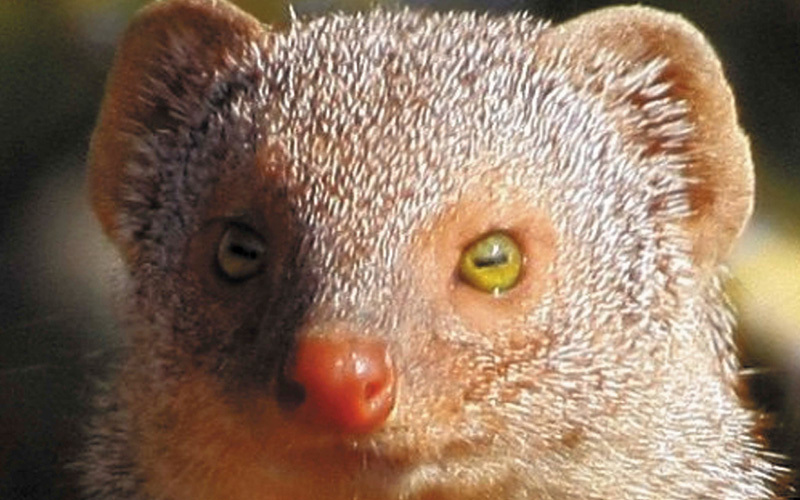 The Indian Mongoose is one of the smaller mongoose species. They were introduced to the West Indies sometime in the 1800s to control populations of rodents and snakes in sugar cane plantations. However, being diurnal (active during the day) they were never effective at control since rats are nocturnal (active at night). They live in groups in small burrows. They are very playful and spend a lot of time socializing with each other.